Welcome to our ‘Behind the Scenes of St Martin’ series where we talk to some of the fantastic people who help make this charming Trois Vallées resort work. 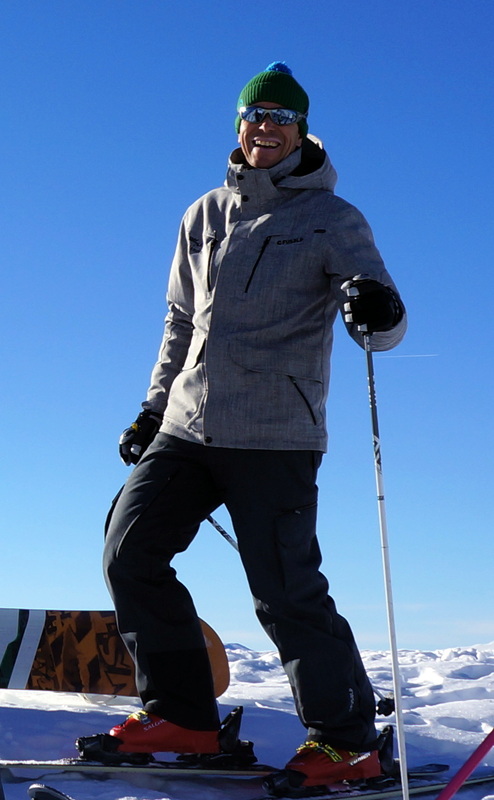 Here Helen Raemers, founder of The Alpine Club, chats to Didier Collomb, one of her favourite private ski instructors, who works for Skischool Les Menuires-Saint Martin. Where are you from? I am from Saint Martin de Belleville. How long have you been skiing? Since age 5. How long have you been a ski instructor? It’s been 15 very good years. I now work for the international branch of the local ESF school with which was set up in 2005 with originally three members, including myself. The team now has eight members and I am the one who spends most time in Saint Martin as I have built up a close relationship over the last eight years with The Alpine Club and other chalet owners. What made you decide to become a ski instructor? As a teen I wanted to make a living from skiing and the passion for teaching came shortly after I passed my exams. Why are you based in St Martin — what do you love about it? I’ve been working in St Martin since 2005. I am based in my village where I know almost everyone and where I love the simple and friendly atmosphere. People here are real and humble! And it is always fun to meet new people at the Piano Bar! 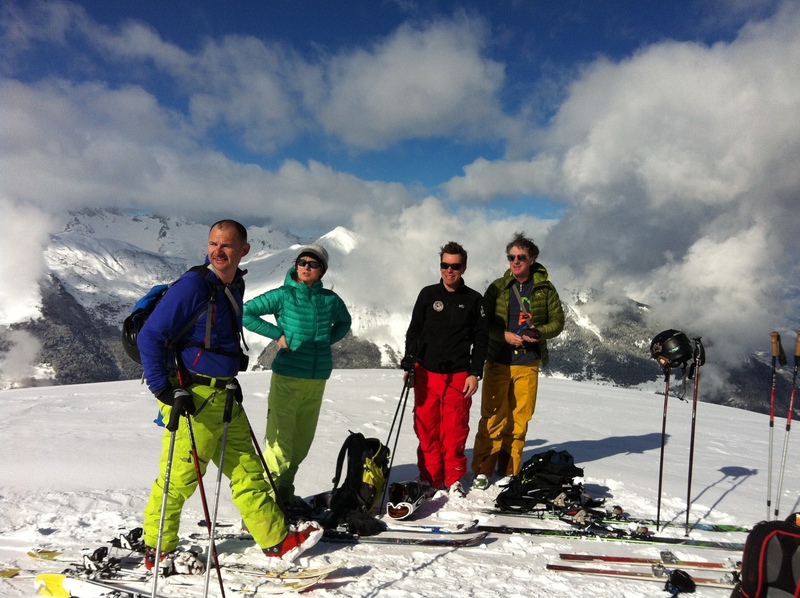 Can you describe a day in the life of a ski instructor? When you do you start? Do you always have nice lunches on the mountain? When do you finish? My typical day starts around 8 am when I check with the office the day’s lessons and the weather forecast. Then time for a quick coffee at the Alp Hotel by the gondola with my fellow ski instructors then around 9 am I meet my guests at Twinner ski shop or at the car park for the “bonjour” and check up, before we hit the slopes. We ski until 12pm when it is usually time to stop for a mountain lunch in one of the hundreds of very good restaurants I personally hand pick! Then a more gentle afternoon of skiing, looking for the best snow. I finish around 5pm and then another goodbye drink happens sometimes! What do you love about your job? I really like the outdoors and meeting new people very often. It is always different. What do you not like about your job? I don’t like it when the lifts stay closed because of bad weather, but that is very rare. 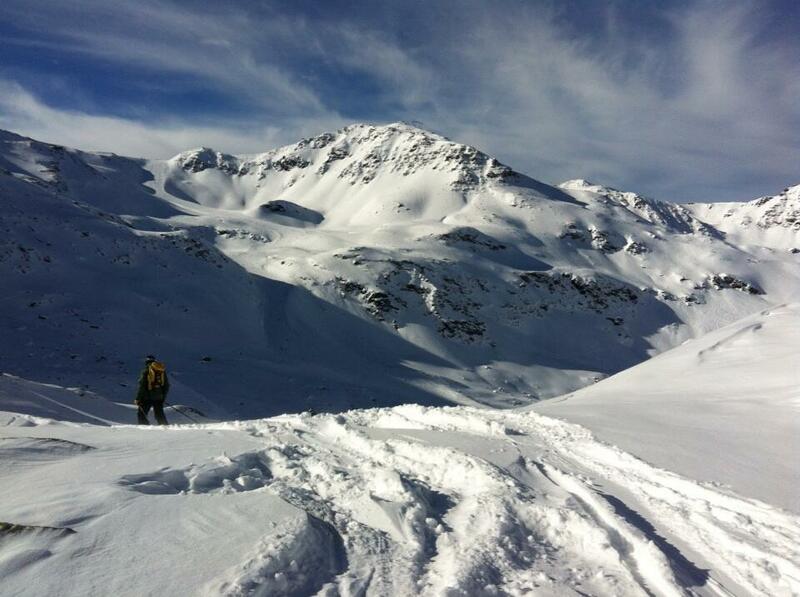 What sort of weather do you like the most for skiing in? I like skiing in white-outs as it is a good way to improve one’s skills but I would rather be skiing in fresh snow with blue sky! What sort of clients do you like best? Children? Beginners? Advanced? This is a difficult one! The sort of clients I like the most are possibly advanced skiers wanting to go beyond their limits, but my great satisfaction is a beginner’s smile and big thank you (children or not ) after mastering the “Bioley” piste known as the only way down from the gondola. some worked for French Television like Gilles Leclerc, the political TV presenter who is the brother of Julien Clerc, one of France’s well known singers and song writers. I am afraid it is all I’ve got on the subject! What is your favourite run in St Martin de Belleville? And in the Trois Vallées? My favourite run in St Martin is called “ le Verdet” and my favourite in the Trois Vallées is the Lac Blanc in Val Thorens. What I like about le Verdet is that it is a remote piste — to get there you need to go first to Meribel then catch the Olympic Express chairlift. Then you have the choice: you can either enjoy a last run at the end of the day with the sun as your companion or you can enjoy the various off piste itineraries to some of the most beautiful hamlets around such as Villarabout where Chamois lodge and Chalet Abode are. 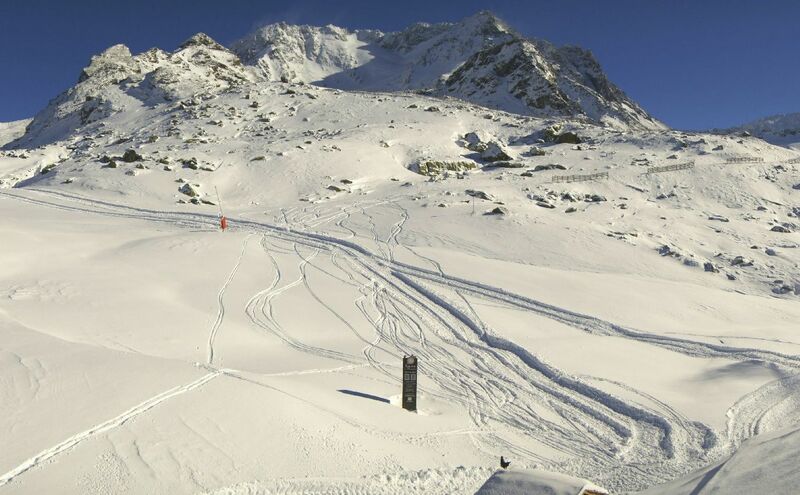 The Lac Blanc in Val Thorens is a must for me as it is the first run to open in the Trois Vallées each year and therefore has the best snow cover all winter. I love the scenic views for the top and its large turns, and the vertical drop is just enormous. What do you do in the summer? Or do you make enough money as an instructor that you don’t need to work in the summer?! Despite a five month-long skiing season, I need to make a bit more money leading groups in the summer to pay the bills, but I like this way of life! I am also a mountain leader and a mountain bike guide. I also guide American tourists on bike tours in one of France’s best wine regions: Burgundy. How long have you been working with The Alpine Club and what do you do with them? I’ve been working with them since 2006. I arrange special itineraries and great days out for their guests. I can arrange almost everything! Heliskiing in Italy, one day skiing in either Paradiski or the Espace Killy, as well as ski touring or a night in a mountain hut, snowshoeing, a torch-lit descent, you name it! If you would like to book Didier for a private lesson, call him on +33665367293 or email him on villarabout@hotmail.com.